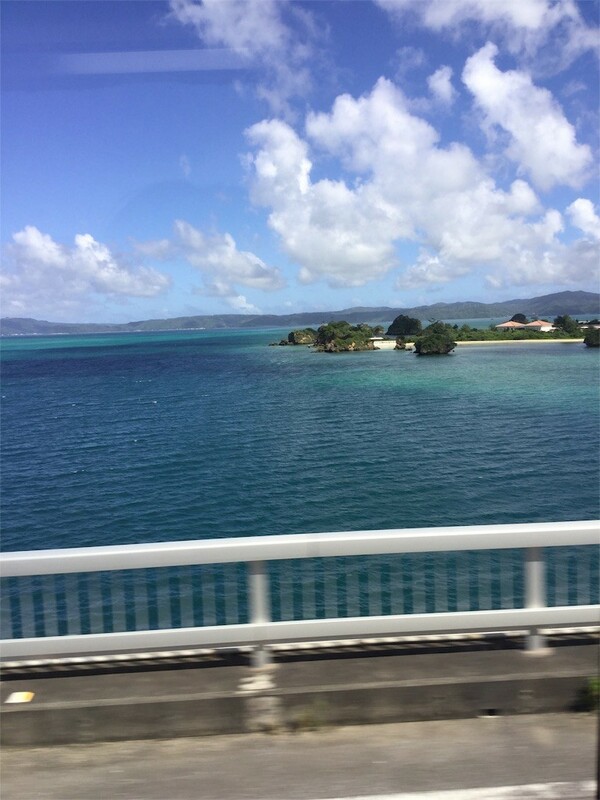 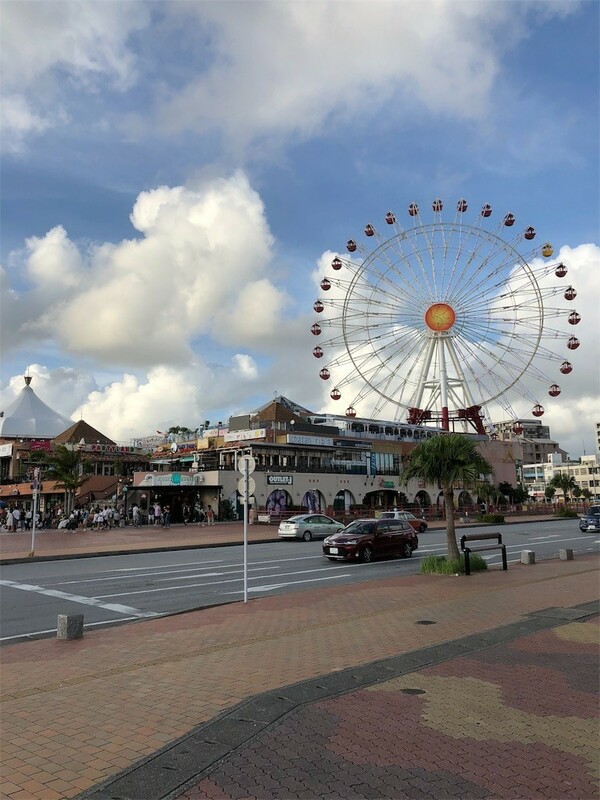 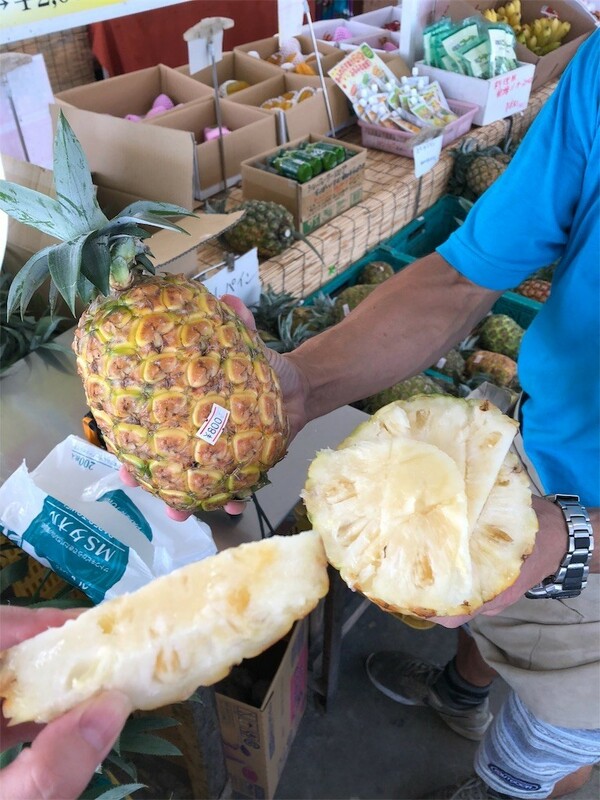 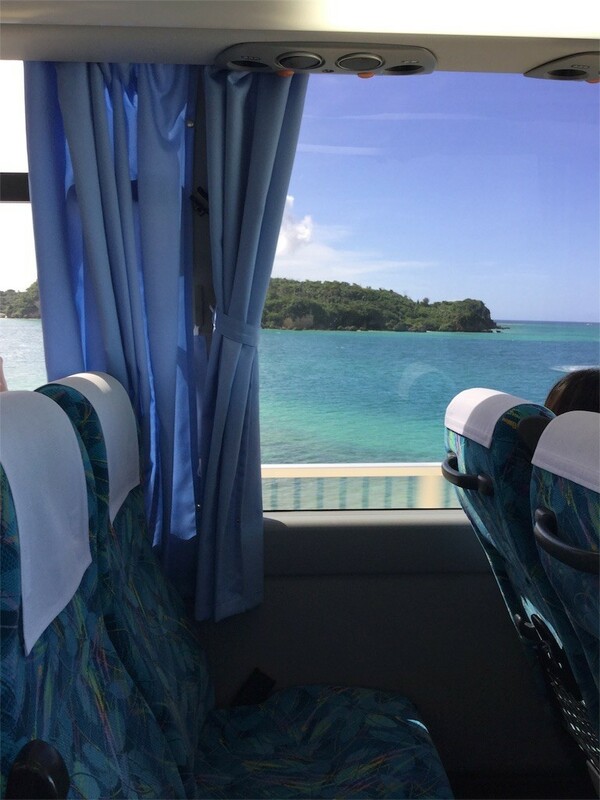 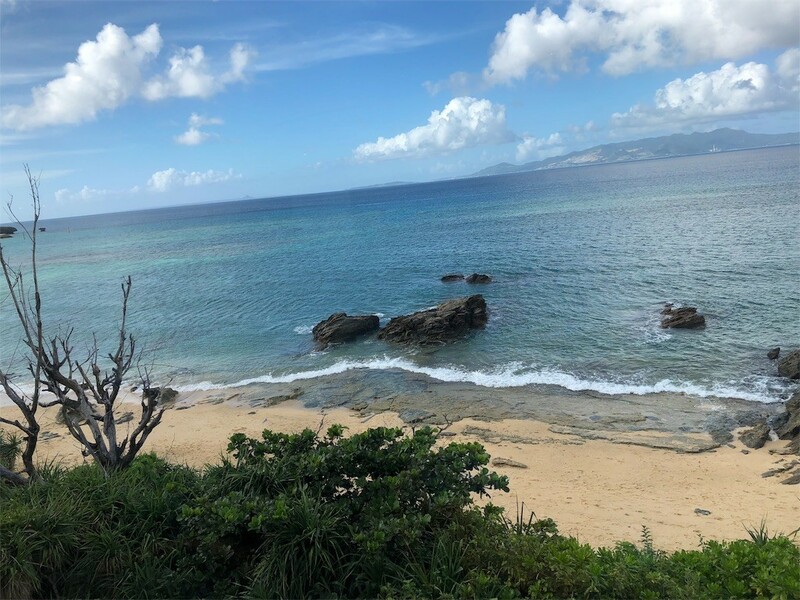 Kouri island is floating on a beautiful sea, and I highly recommend eating some local tropical fruit there, for example, pineapple and mango, which are rare. 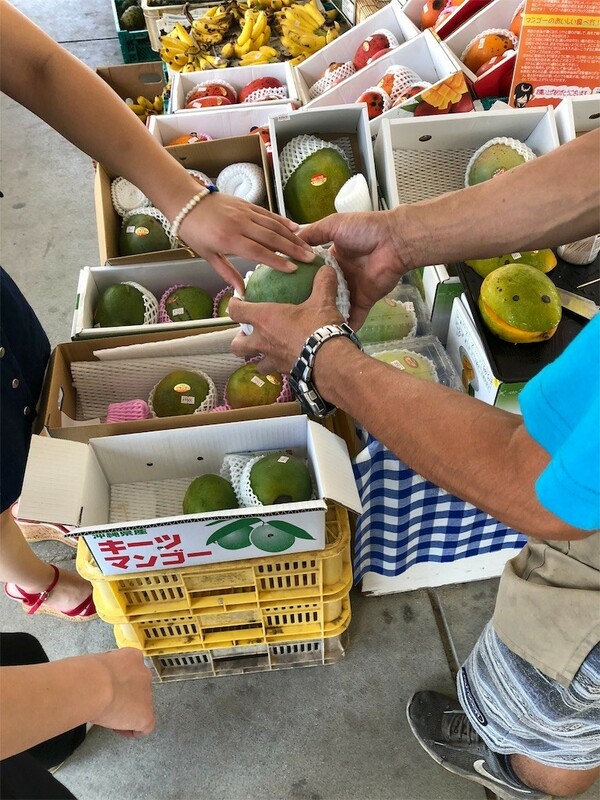 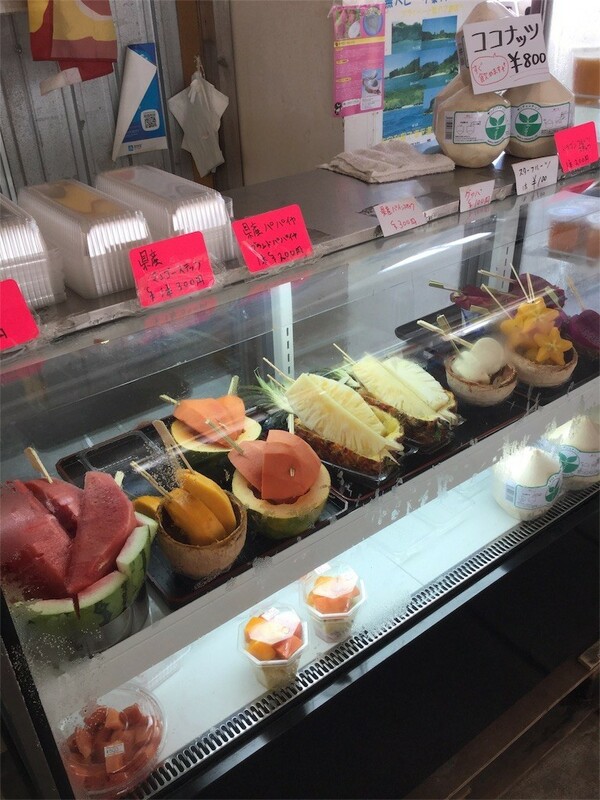 These fruits can be shipped anywhere in Japan. 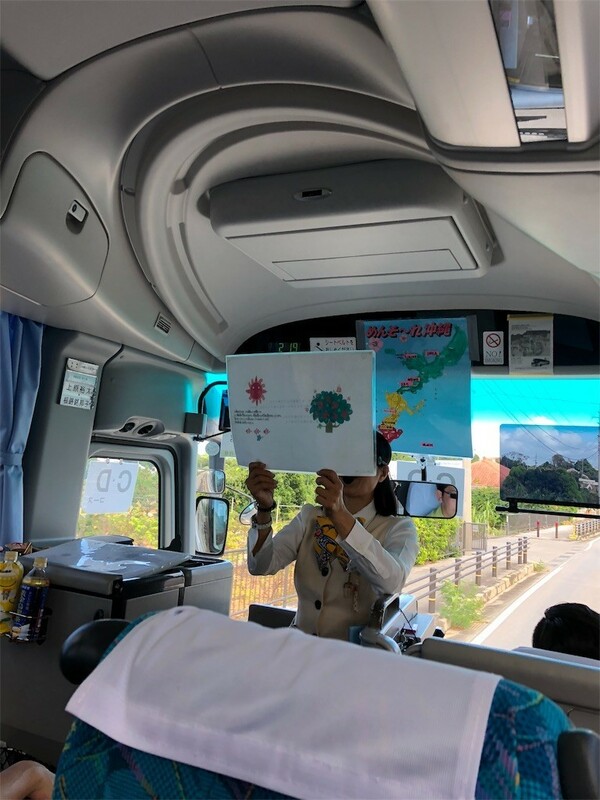 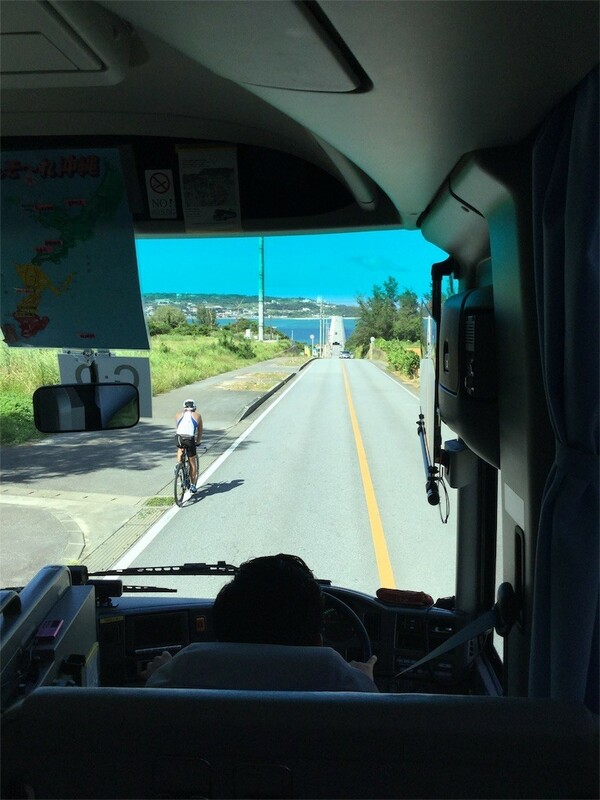 After our bus started to move towards next point, I was suddenly suffered from diarrhea, so that I asked the bus guide to stop the vehicle somewhere. 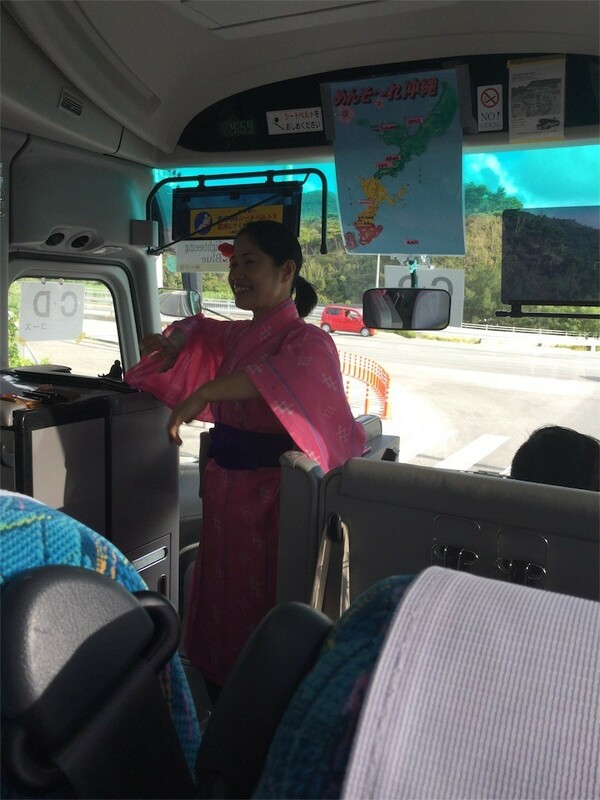 The bus specially stopped at Michi-no-Eki-Kyoda. 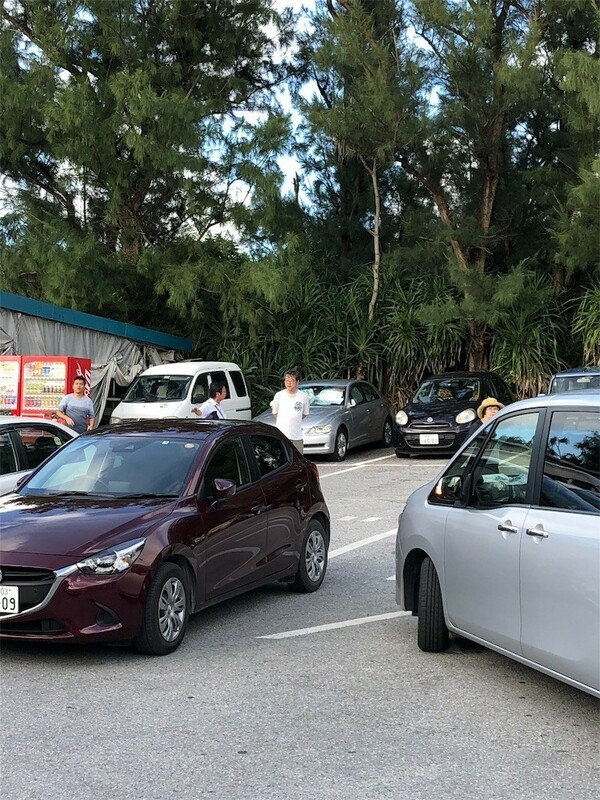 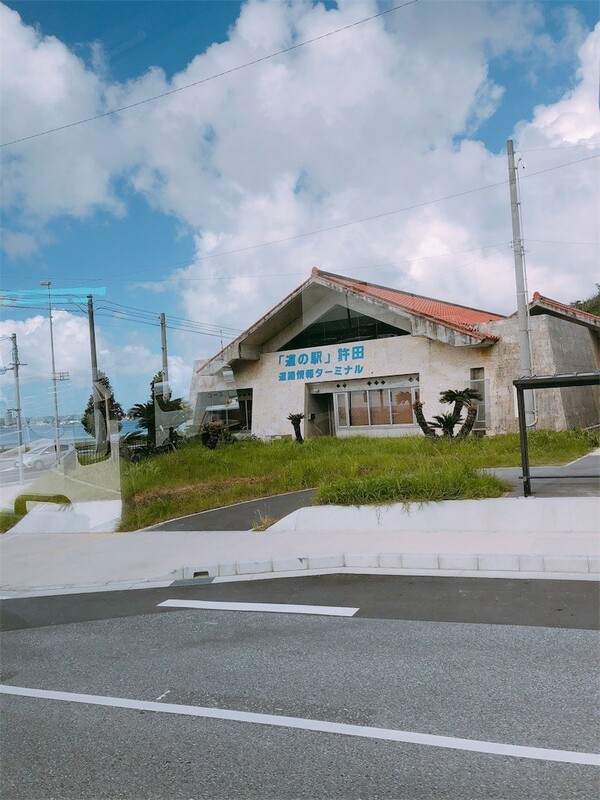 You should do shopping as well as go to restroom, because this roadside station has been selected as the FIRST RANKING of national popularity survey. 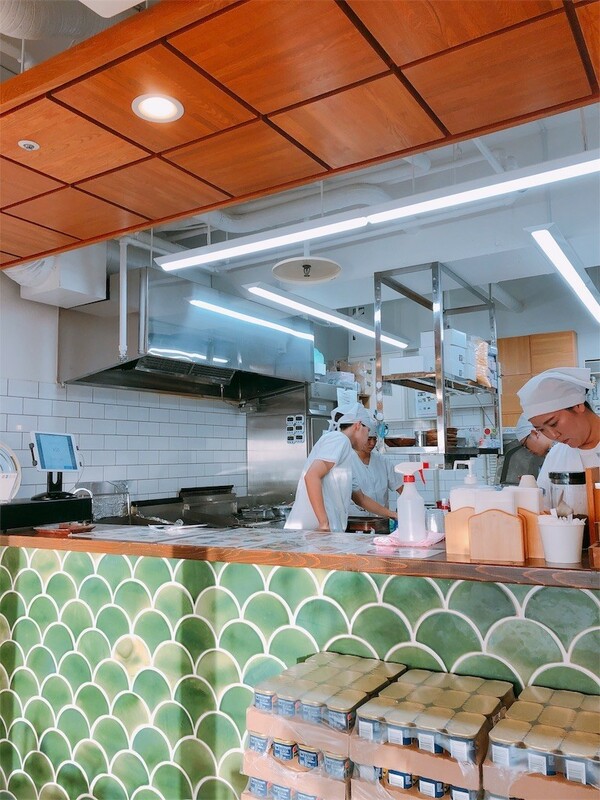 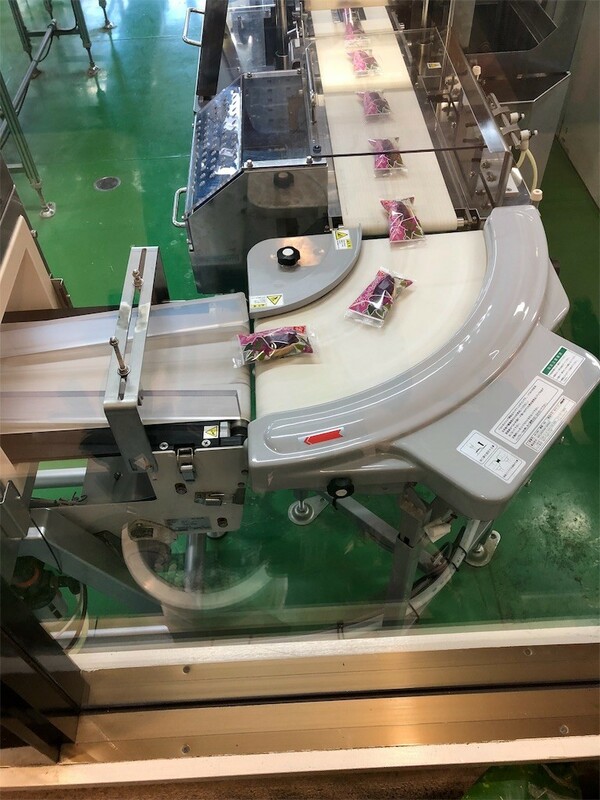 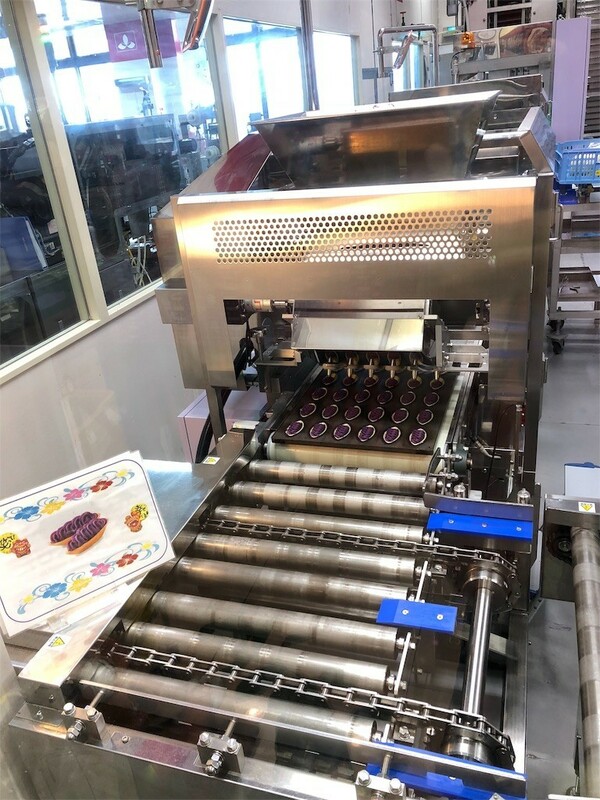 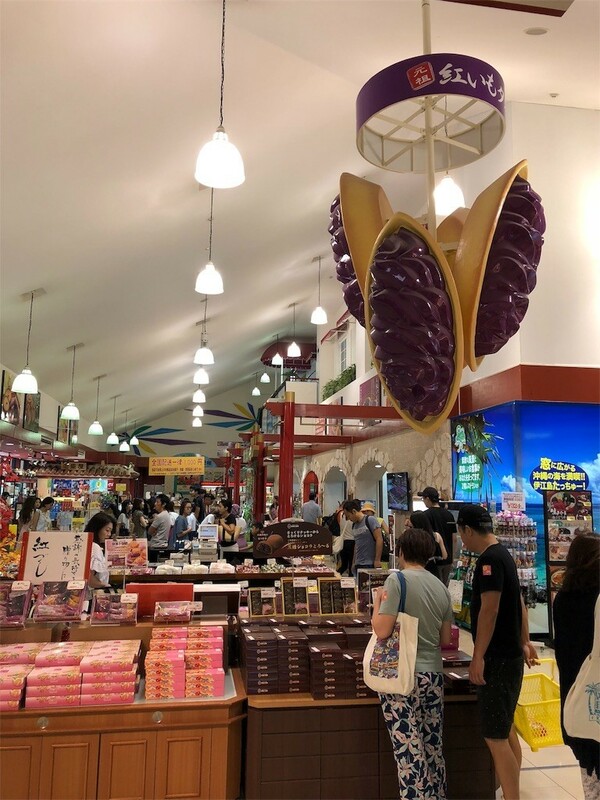 You can taste the red-sweet-potato-tart at Okashi Goten, which means "Sweets Palace", and you can watch some manufacturing processes of the tart. 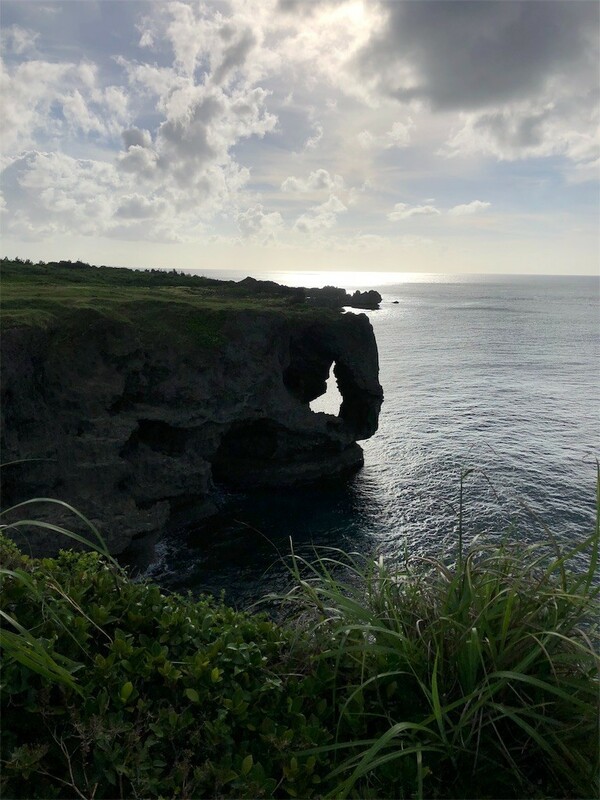 At Cape Manzamo, you can see rocks shaped like a nose of elephant. 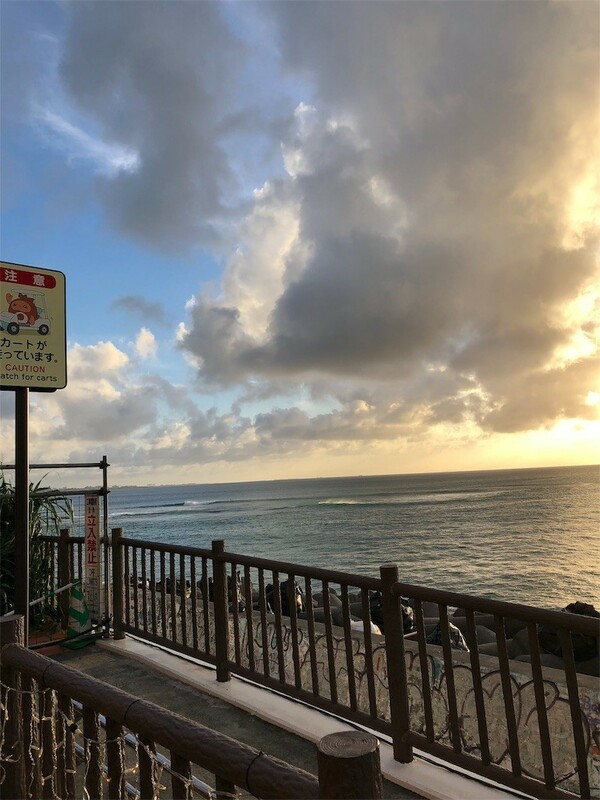 It was difficult to take pictures against the Sun. 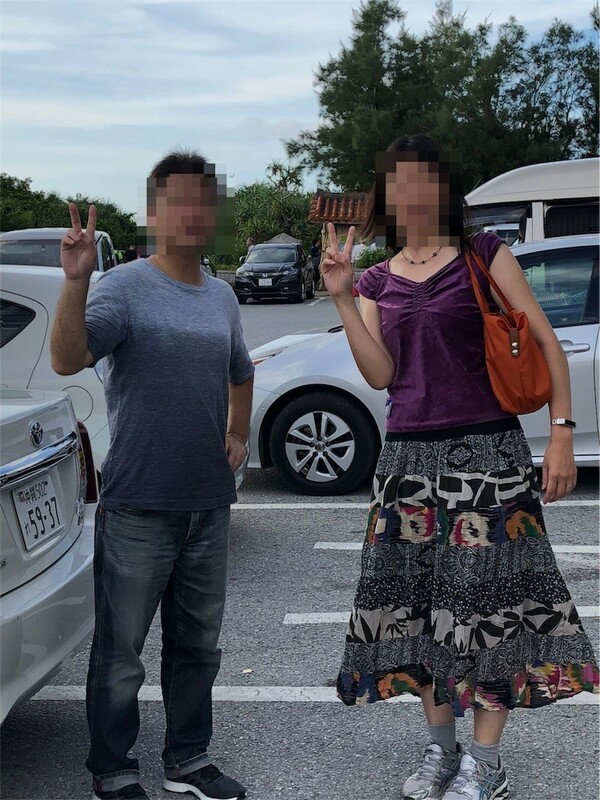 It was embarrassing that I ran into the members of Zeikei Shinjinkai Association, because they realized that I skipped conference on the 2nd day and traveled alone. 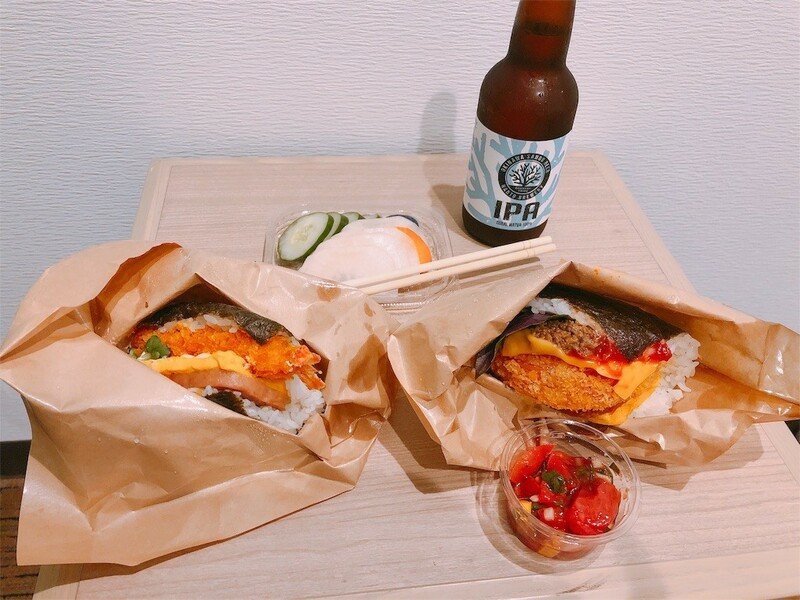 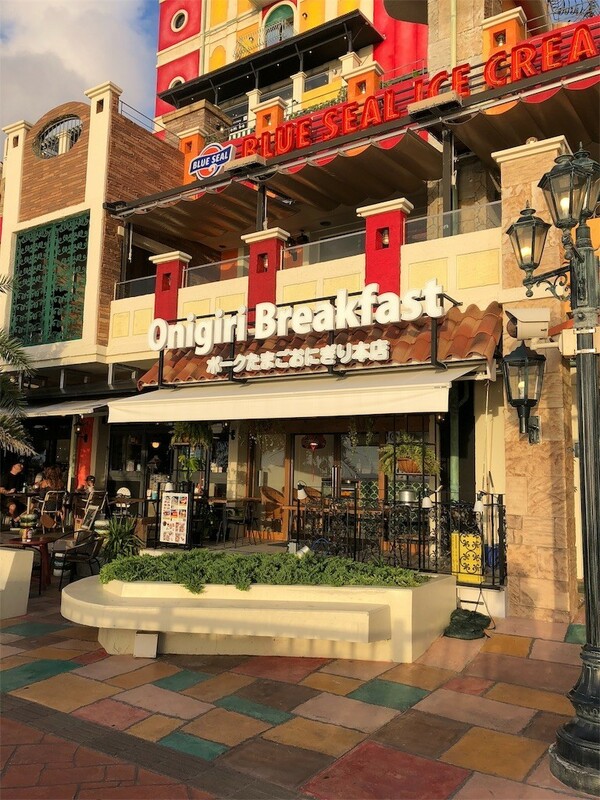 Pork Tamago Onigiri Honten Chatan Shop in American Village offers some special menu those are served at the Chatan ONLY. 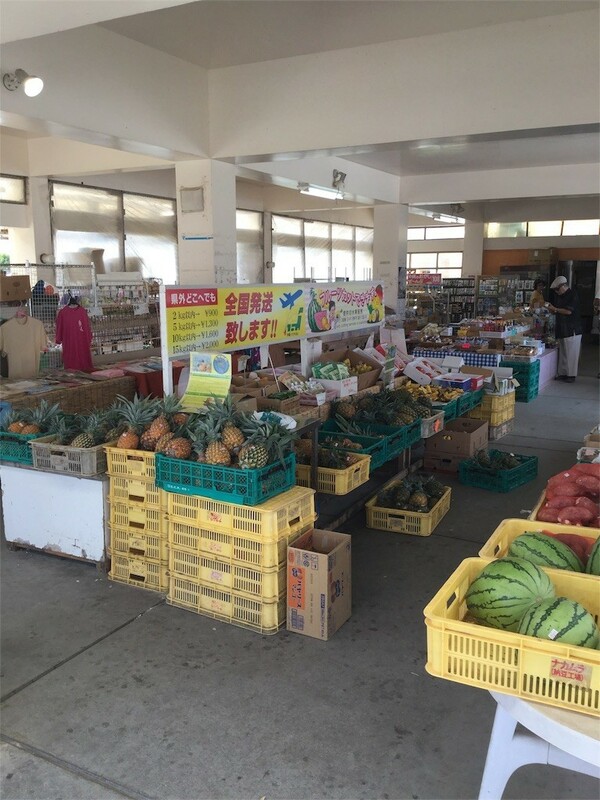 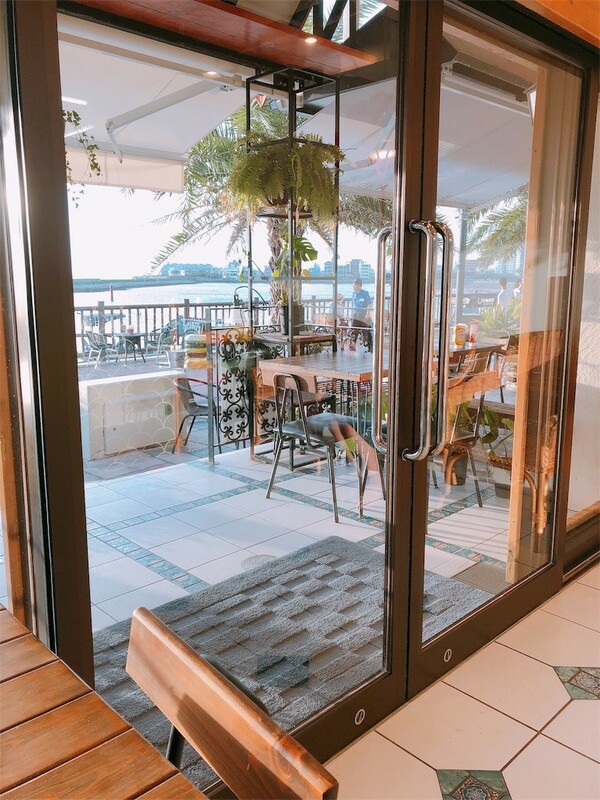 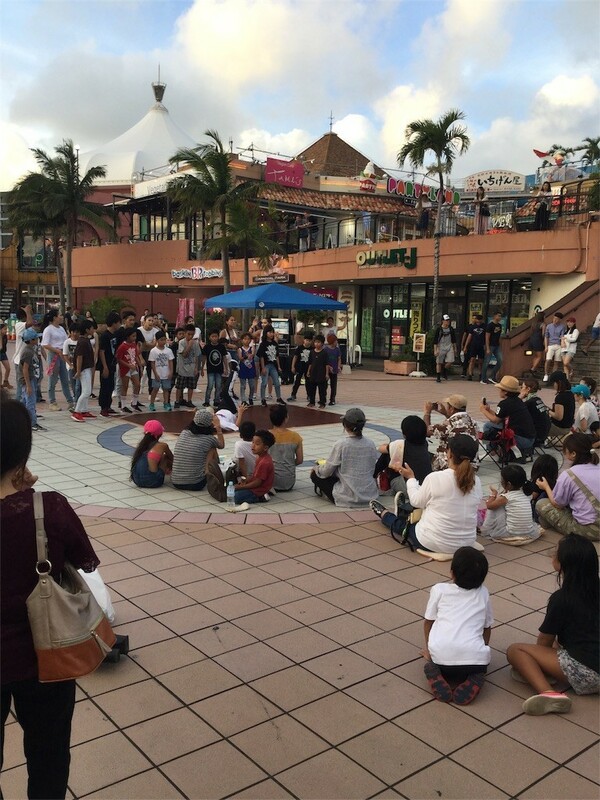 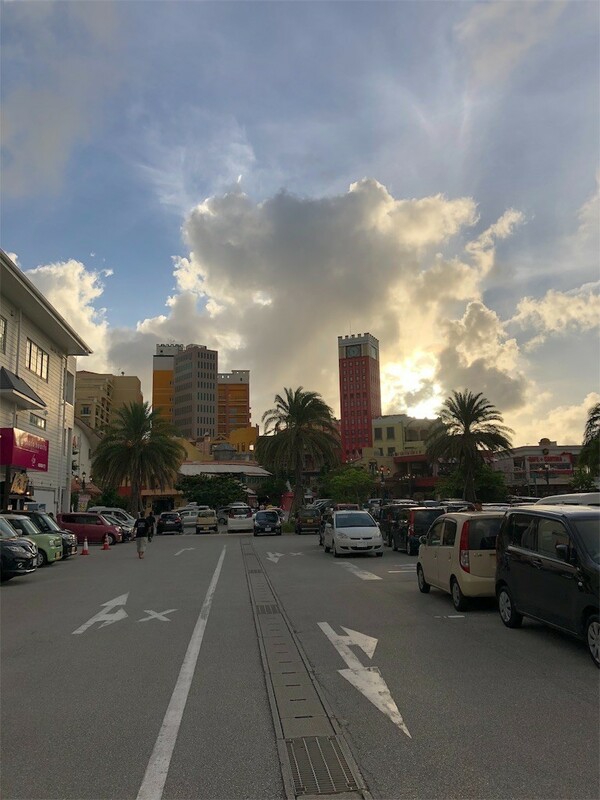 I prefer Chatan Shop to Main store, because Chatan Shop is not so crowded despite nice location in front of a beach.